There are those items in your wardrobe that are simply too beautiful to wear on a daily basis, collected as though they are your very own pieces of art, part of a collection that you cherish. For me there are those certain pairs of shoes (and accessories) that fit under the 'piece of art' category, that you own and display with pride. 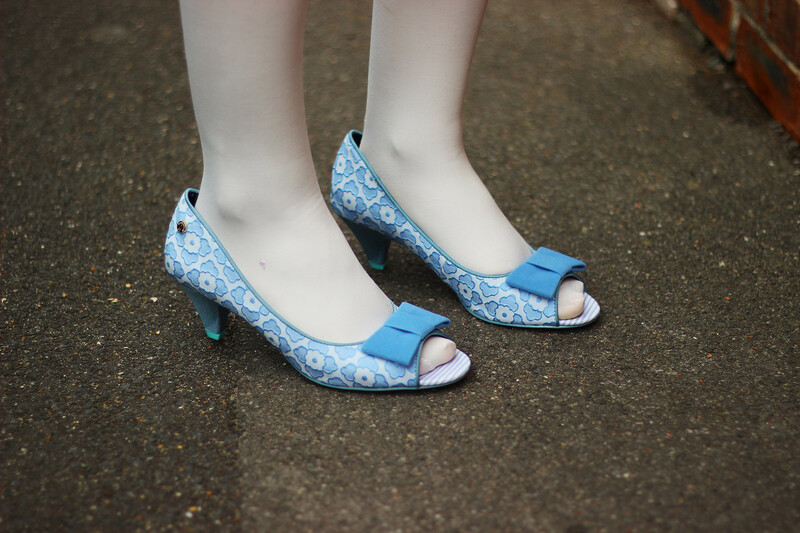 These heels from Babycham are a beautifully crafted pair of shoes that make you feel as though you have stepped back in time, and re-invented yourself into a 50s siren-think Sandy from Grease ("pre-transformation"). They are their very own pieces of art, that had me mesmerised as soon as I lifted the lid off of the shoe box. The sky blue lace is something that immediately drew me to them and as a (self-proclaimed) lover of pastels I couldn't help but dream up all the pastel-esque outfits, I could pair them with. 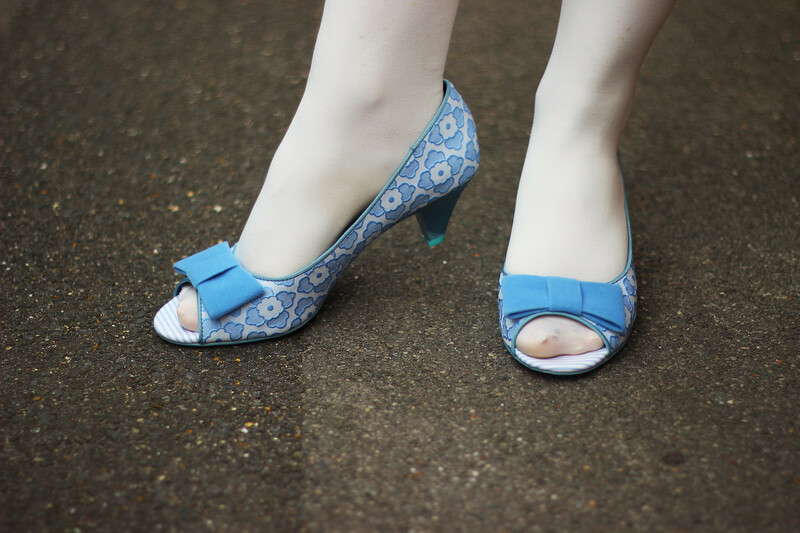 If you too want to channel your very own 50s siren, or want to drool over their (too beautiful for words) pairs of shoes, then definitely take a look at their website here! those shoes are so cute! Loving this pastel outfit! love this look -- your hair is great!